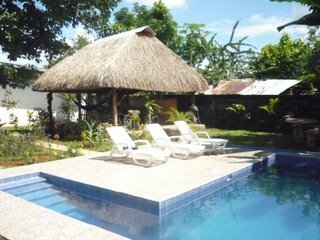 Find the perfect back packing hostels Santa Catalina for your next vacation. Great deals on budget youth hostels to luxury packages. Browse through the youth hostels listings and book your vacation today! Panama Hotel & Resort Accommodations For Vacations & Travel. 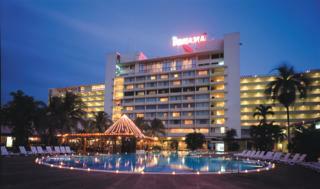 Panama Hotel & Resort Accommodations For Vacations & Travel. Hotels For Weekend Getaways & Resorts For Relaxing Vacations. Bed and breakfast accommodations for romantic weekends and quick getaways. Stay at intimate and cozy B & B during your vacation. 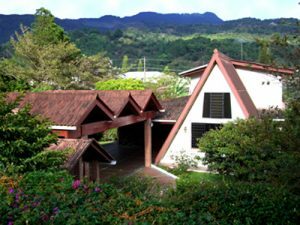 You will love the unique charm only a Panama bed & breakfast can offer. The Perfect Choice: Lonely Planet, our most comprehensive guide to the area, is perfect for both exploring top sights and taking roads less traveled. The business district, Casco Viejo, the historic Spanish Colonial sector of the city and spectacular Amador Causeway connecting a string of Bay islands with ocean and city views both day and night. The Panamanian people love a party – a fact reflected in a wide variety of nightlife spots-bars, discos, pubs and casinos. As in any big city, keep to the lighted main streets and have a great time. Taking a taxi from your hotel is a safe way to get to any of these places. Panama is the land bridge between two continents and divides two oceans, making it a crossroads of the world. Each year many hundreds of cruise ships transit a modern wonder of the world, the Panama Canal. International Airlines serving the area include not only those from North and South America but also from Spain, Russia, Taiwan and Israel. The following cities in the USA are currently the main connection points for flights to and from Panama: Miami, Orlando, Houston, Newark, New York, Washington DC, Dallas, Atlanta and Los Angeles. Panama’s International Airport is Tocumen International Airport, 35 Kilometers from downtown in the City. Panama’s national airline COPA flies to major cities in South America and cities in the USA in alliance with Continental Airlines. Land crossings are also possible from Costa Rica with border points at Paso Canoas, Sixaola/Guabito and Rio Sereno. However, there are no roads linking Panama and Colombia. Panama City is approximately 5000 km by road from the nearest US city Brownsville, Texas. However, the costs of insurance, fuel, permits, accommodations etc. usually amount to more than the cost of an airline ticket, so most visitors choose to fly and rent a car upon arrival. There are also charter flight services available, travelling from Canada and Italy, to some areas inside the Republic. Check with your travel agent or adviser. Travel by cruise ship to Panama Canal. The Canal is a 77.1-kilometre (48 mi) ship canal in that connects the Atlantic Ocean (via the Caribbean Sea) to the Pacific Ocean. The canal cuts across the Isthmus of Panama and is a key conduit for international maritime trade. There are locks at each end to lift ships up to Gatun Lake, an artificial lake created to reduce the amount of excavation work required for the canal, 26 metres (85 ft) above sea level. The current locks are 33.5 metres (110 ft) wide. A third, wider lane of locks is currently under construction and is due to open in 2016. France began work on the canal in 1881, but had to stop because of engineering problems and high mortality due to disease. The United States took over the project in 1904, and took a decade to complete the canal, which was officially opened on August 15, 1914. One of the largest and most difficult engineering projects ever undertaken, the Canal shortcut greatly reduced the time for ships to travel between the Atlantic and Pacific Oceans, enabling them to avoid the lengthy, hazardous Cape Horn route around the southernmost tip of South America via the Drake Passage or Strait of Magellan. The shorter, faster, and safer route to the U.S. West Coast and to nations in and around the Pacific Ocean allowed those places to become more integrated with the world economy. It takes between 20 and 30 hours to traverse the canal. During construction, ownership of the territory that is now the Panama Canal was first Colombian, then French, and then American. The US continued to control the canal and surrounding the Canal Zone until the 1977 Torrijos–Carter Treaties provided for handover to Panama. After a period of joint American–Panamanian control, the canal was taken over by the Panamanian government in 1999, and is now managed and operated by the Canal Authority, a Panamanian government agency. Annual traffic has risen from about 1,000 ships in 1914, when the canal opened, to 14,702 vessels in 2008, the latter measuring a total of 309.6 million Panama Canal/Universal Measurement System (PC/UMS) tons. By 2008, more than 815,000 vessels had passed through the canal; the largest ships that can transit the canal today are called Panamax. The American Society of Civil Engineers has named the Canal one of the seven wonders of the modern world. Take A Break Holidays takeabreakholiday, Panama Accommodation.